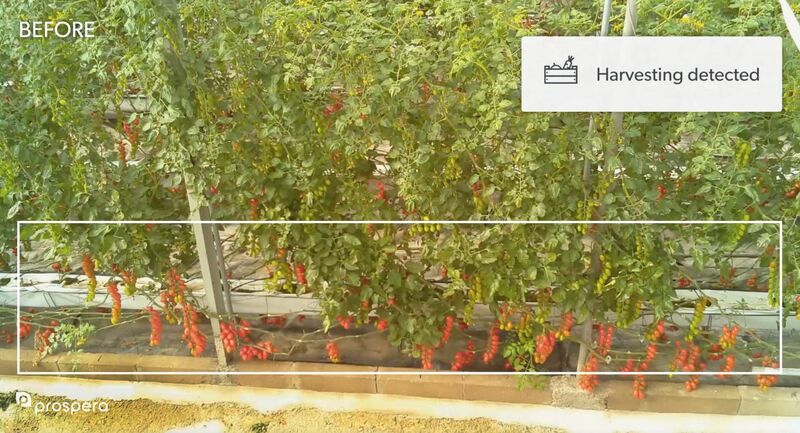 Prospera, an Israeli startup using computer vision, data science, and machine learning to monitor and analyze crops, has raised $7 million in Series A funding in a round led by local VC Bessemer Venture Partners. Prospera will use the funding to launch its software-as-a-service in the US where it will also expand its focus on indoor agriculture to high-value permanent crops and produce grown outdoors. The Tel Aviv-based startup is taking a novel approach to monitoring crops with a camera and sensor hardware system, which currently captures half a million readings every day. Using computer vision and a large database of research around diseases, nutrient deficiency, and other types of crop stress, Prospera’s cameras can pick up on small changes to crops, and predict the issue afflicting them. Prospera’s software platform, which can be viewed on multiple devices, can then send alerts to farmers about the stress the cameras have detected. The cameras can also detect any action happening on the farm such as harvesting or any interaction with a grower. This information is fed into the software to help growers track activities on their farm and reduces the need for them to enter this information manually. From here, Prospera has started to give customers yield predictions, which they can feed onto their distributors. Through working with large indoor growing cooperatives in countries like Spain, Prospera’s technology is being used by farms that supply some of the largest grocery retailers in Europe including Tesco, Sainsburys, and Aldi. Detections are just the first phase in Prospera’s ‘Artificial Intelligence roadmap,’ according to Koppel. Prospera has a SaaS model, so farmers do not purchase the hardware, it is essentially leased to them similar to a cable TV contract, says Koppel. Prospera will deploy these sensors on your farm, and space them out dependent on the type of farm or issues concerned. For indoor farms, this is usually around four sensors per acre, but outdoors it will be nowhere near this amount, particularly as Prospera will be able to integrate satellite imagery into its analytics, he says. Prospera also aims to connect with any other sensor systems a farmer is already using. 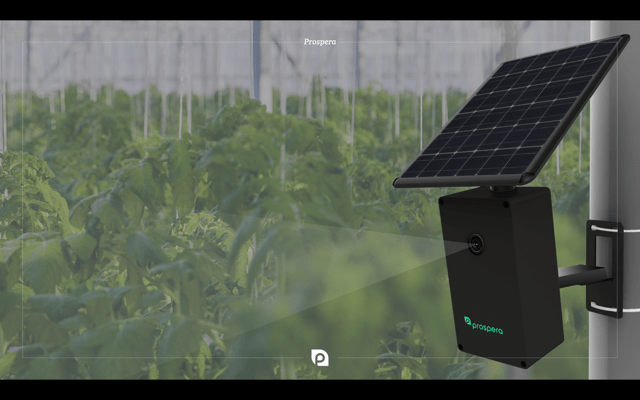 Prospera’s solar-powered sensor and camera system. Bessemer connected with Prospera through mutual contacts, and the startup represents its first pure agtech investment — it has a stake in meal kit delivery service Blue Apron. But the VC firm had been looking at the ag space extensively before deciding to invest in Prospera, according to Adam Fisher, partner at Bessemer. Other investors in the round include a large nursery in Israel, and some small US companies, according to Koppel, who added that the startup will look for funding further afield for its Series B round. While Koppel has been surprised by the uptake of Prospera by growers globally — he says the company has a waiting list of clients — Fisher from Bessemer admits that adoption is a challenge for agtech businesses.